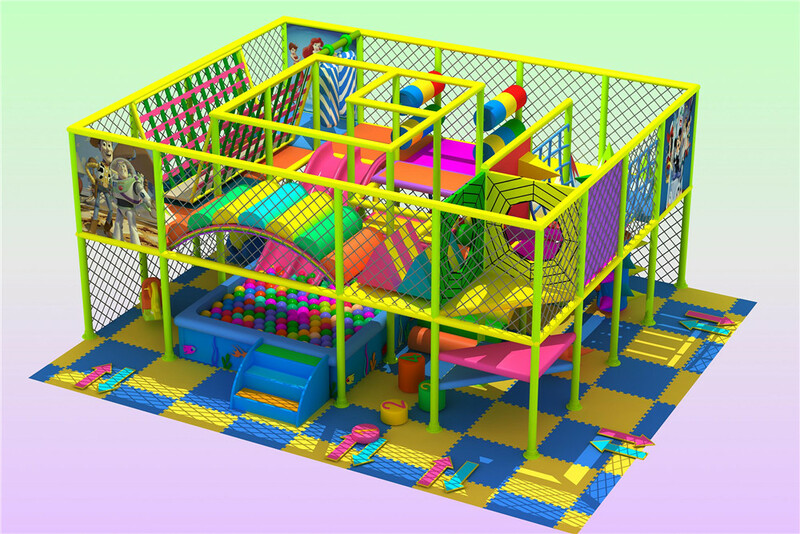 This indoor playground equipment with open first floor, kids can get inside from all open side. On first floor have swing, plastic cars, ball pit, rocking horse. We use soft obstacle instead plastic on second floor create challenge on passageway for kids better exercise!